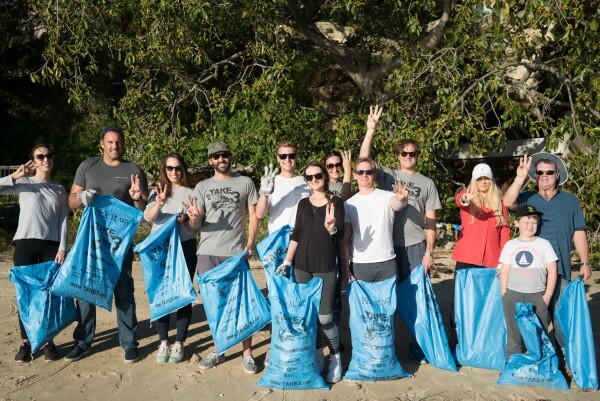 Last week, Australian brokerage house Ocean Alliance organised the inaugural ‘Sea-through – The Superyacht Beach Clean Project’. 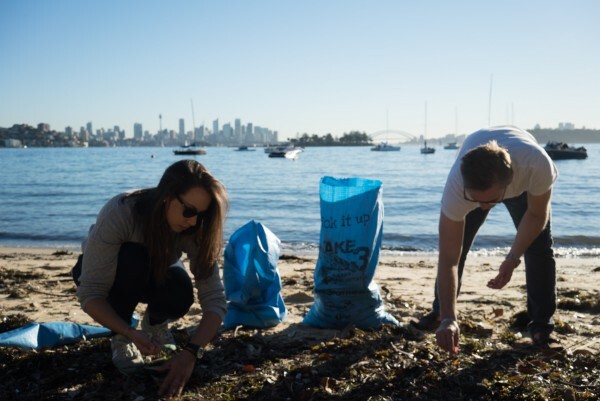 The initiative saw over 20,000 pieces of plastic collected from three different sites around Sydney. The company invited crew from their fleet to take part in a beach cleanup, which resulted in over 35 people joining the effort. For the Ocean Alliance team, the participation of crew is fundamental in ensuring that superyachts in their fleet are aware of widespread environmental issues. “When crew become open-minded and educated about the plastic pollution, it will result in them setting up initiatives on board commercial and private superyachts, something which is strongly supported by Ocean Alliance,” explains Ocean Alliance charter manager Laurie Foulon. “We see crew and local guides being asked by guests for more information about the changes to the oceans and fish population,” she reveals. Guests on board are witnessing first hand the destructive impact humans are having on these environments. If crew are armed with facts about a yacht's ecological imprint, they can inform guests and potentially limit contamination of the oceans. Speaking about the role of Ocean Alliance in spearheading the project, managing director Joachim Howard highlights how the UHNWIs at the centre of the market have the ability to fundamentally affect change on a global scale. “We have a great opportunity to take a leadership role as not only is the ocean and its health at the centre of the industry’s core proposition, but our clients have the wherewithal to enact changes.” Superyacht owners such as Ray D’Alio with M/Y Alucia and Wendy Schmidt’s R/V Falkor are fantastic examples of using vessels as platforms for oceanographic research. Similarly, actor Will Smith and his family recently hit headlines by spending time cleaning up the Greek beach of Antipaxos that their yacht was visiting. Ocean Alliance are not only cleaning up the detritus caused by humans, but also taking an active role in influencing the use of plastic on board the vessels they manage. They are educating their fleet on simple steps such as using glass bottles instead of plastic, replacing plastic cutlery, ensuring proper recycling is implemented on the yacht and avoiding the use of plastic straws. 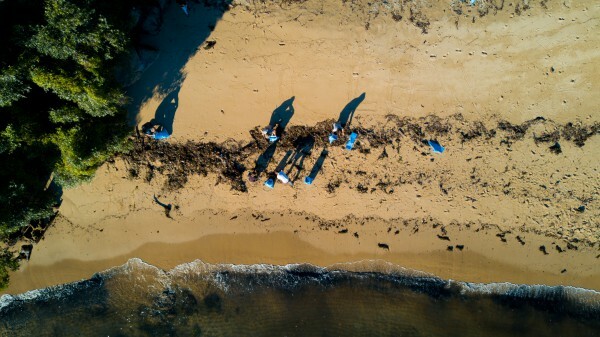 The beach cleanup in Sydney is just the first event, with another in the pipeline for crew who couldn’t join the most recent activities. “The result post-event was overwhelmingly positive, with crew who missed the event requesting us to host the next one closer to summer when they are back in Sydney. The beach cleanup definitely opened everyone’s eyes about the issue,” says Foulon. 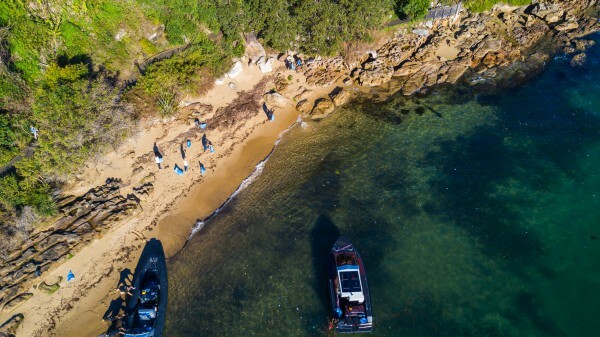 The initiative is in partnership with conservation group Take 3, the brainchild of marine ecologists, Roberta Dixon-Valk, Amanda Marechal and Tim Silverwood. 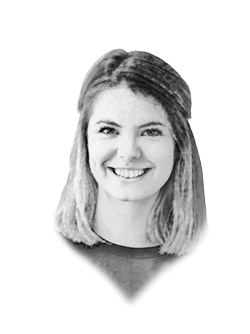 “Tim was one of the main characters of the Australian documentary BLUE The Film, tackling ocean pollution in the South Pacific, which was partly filmed on board one of our central agency yachts – the 35m M/Y Beluga, based in Port Douglas,” she explains. 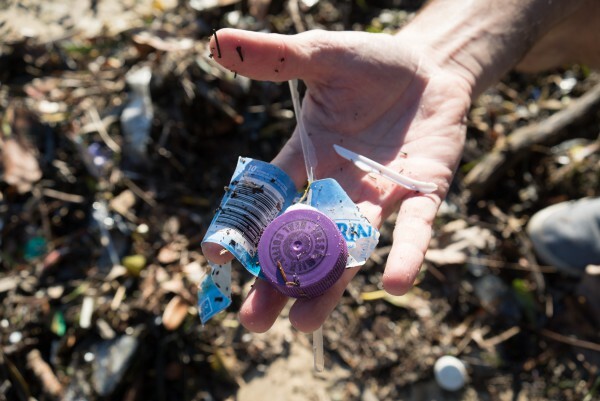 There have been a number of high profile organisations - within the superyacht industry and beyond - who have woken up to the issues of plastic pollution, which can only be taken as a positive sign. One can’t disagree with Howard’s salient point that we cannot bite the hand that feeds us. The ocean is the life and soul of the superyacht industry, we cannot continue to ignore the threat plastic has to the environment our market depends on.